The PelletgageR was developed to provide an efficient means of sorting many pellets for a narrow range of head diameters. It’s a development of the original Pelletgage which Hard Air Magazine uses in all our pellet test reviews to measure head sizes. The original Pelletgage has 10 apertures of different sizes. 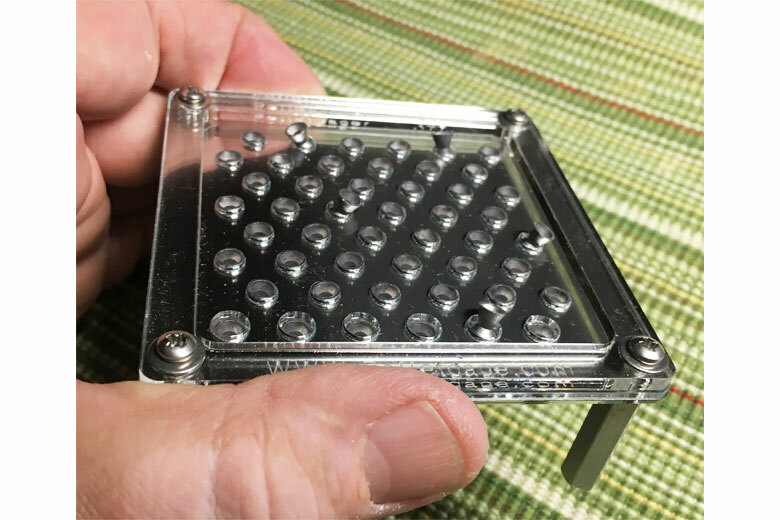 The PelletgageR uses gage plates with 48 identical apertures. This makes it much faster to sort out pellets under and over the diameters of the chosen gage apertures. So for instance, if you want 4.52 head size, order both a 4.53 and a 4.51 PelletgageR. Choosing a 4.53 and 4.51 mm plate will allow the user to first find any pellets over 4.53, then use the smaller diameter to find any that fall through, and are therefore under the desired size. Of course, you can find much data about pellet sizes and variability in HAM pellet test reviews. 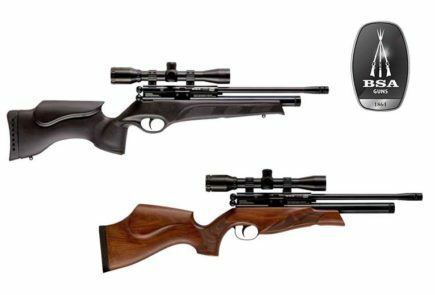 This can guide you selection of the appropriate PelletgageRs that you choose for use with your particular air rifle and pellet combination. The gage plates have precisely laser cut apertures have inside diameters within 0.0025 mm (0.0001 in) of the nominal size. They are produced from the same fine grained stainless alloy used in all Pelletgages, specially processed for optimal toughness and stability. PelletgageR metal gage plates are 3.20 inches square with 48 apertures. Initially, .177 caliber will be offered. Gage sizes 4.50, 4.51, 4.52, 4.53, and 4.54 mm will be available. 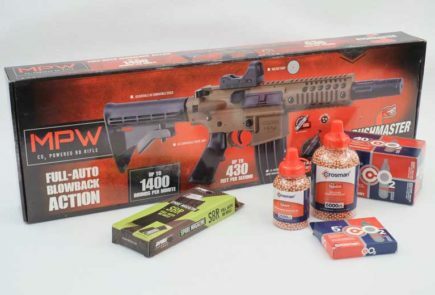 Jerry Cupples – the inventor of the Pelletgage – tells HAM that he plans to make .22 and .25 caliber versions available in 2019 if demand is strong enough. 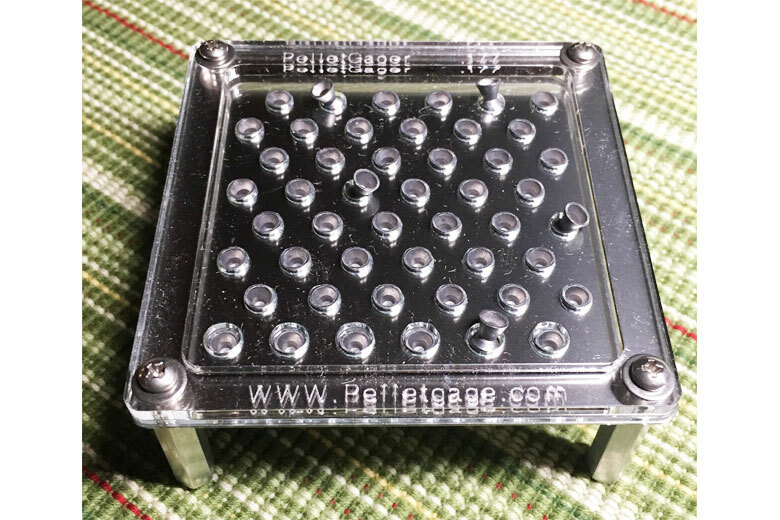 The PelletgageR is sold as individual sized assemblies, one metal gage plate with all the plastic components. Users will generally need two. Jerry suggests that when you get a new tin of pellets, sample about 50 for head size using an original Pelletgage. This is exactly what we do in HAM pellet test reviews and is the methodology used for old MIL STD statistics. 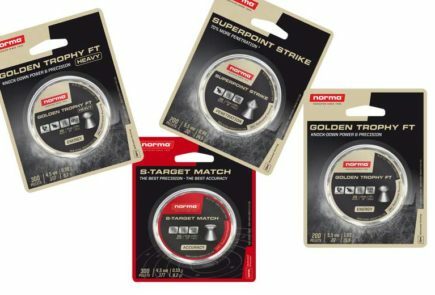 This – together with a shooting accuracy test – enables you to make a determination of the best head size for your gun. Armed with that knowledge and HAM test data, you can then determine the best PelletgageR gage plate sizes to order. Then, PelletgageR makes the process of sorting out that size MUCH faster, says Jerry. 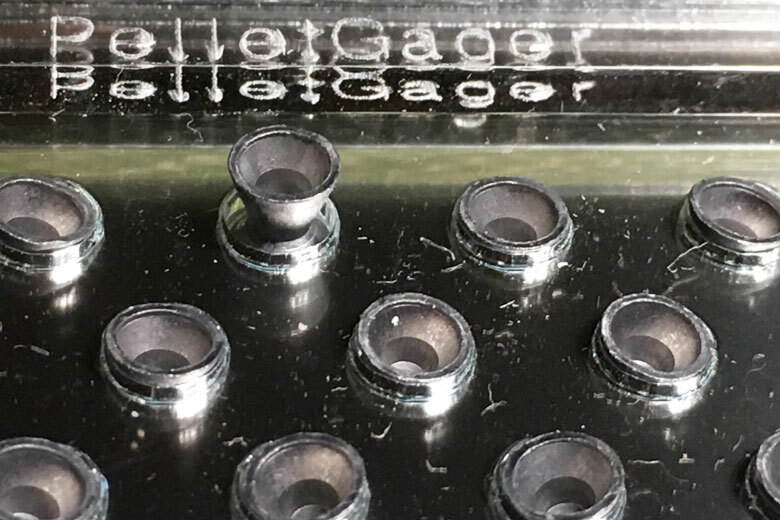 Jerry believes that most .177 caliber pellets have a nominal 4.52 mm head diameter, so it will be beneficial to have a PelletgageR for 4.52 sizing. His theory (backed by experimental testing) is that most guns can shoot a range of pellet sizes, say 4.51, 4.52, or 4.53 and achieve good grouping. However, if shooting a mixture of these sizes, the patterns will open. In his own tests, Jerry finds his .177 caliber Marauder achieves best groups with 4.53 head size, but the results with 4.52 are almost as good. 4.51 pellets are noticeably worse. He believes that pellets with a head diameter of +/- 0.02 mm or greater variance from nominal diameter are very likely to be fliers.